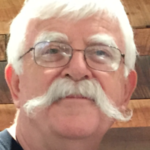 Editor’s Note… Every week there are GREAT posts and equally GREAT comments shared by members of the PRP Facebook Support Group on a broad spectrum of topics. It has been a constant source of personal frustration over the past four years that these GREAT PRP-related insights and observations get pushed aside by other posts. More often than not, the “good stuff” is replaced by more “good stuff”. Too often a percentage of the 1,528 PRP Facebookers simply “miss” these GREAT posts, and Absolutely the 517 PRP patients who are not members, miss the same GREAT posts. How do we capture and RETAIN the best? How the get to “good stuff” into the PRP Survival Guide where it can be shared with the entire PRP community — PRP Facebookers and PRP Emailers? Simply stated, it’s time for me to line up the ducks. 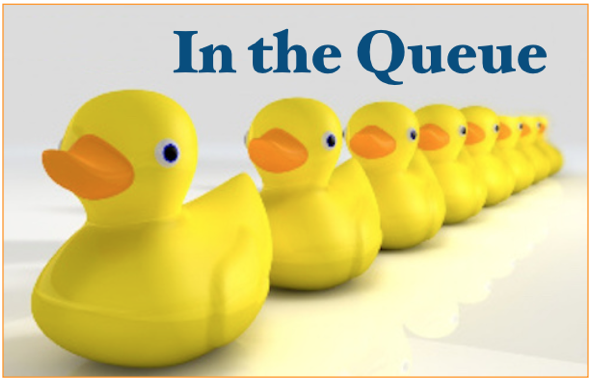 In the Queue is an effort to identify posts from the Land of Chat (PRP Facebook Support Group) that are worthy of special attention and retention. The following list includes the topic, author (truncated name and location to maintain a modicum of privacy), and the date of the post. Also note that the topic is also the link to the original, unedited post for members of the PRP Facebook Support Group. 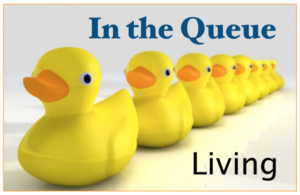 In the Queue — Living focuses on topics found in Chapter 3 — Living with PRP. There will be a separate In the Queue for medications, e.g., acitretin, methotrexate, and biologicals. 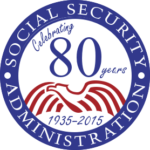 “I am in the process of filling for social security disability. I have several other health issues but was officially diagnosed with prp last week and am wondering if I should tell them of the new official diagnosis or wait and see what they say as they said they will probably make their decision next week. Any thoughts or experiences with that. Editor’s Note: The process of applying for disability in the U.S. seems to be a hit and miss proposition. Some get disability on the first try. Others submit repeatedly until they are successful. Other try and are rejected. And I suspect there are those that don’t even try. As a community we need to find out what works and what doesn’t. We learn by sharing — so share your story of success and/or failure. Editor’s Note: This post has been reformatted as FEEDBACK in the PRP Survival Guide, Chapter 3, Pain & Pain Management and Itch and Itch Relief. “Anyone have a toddler or child with PRP? Editor’s Note: Every PRP patient/caregiver should view Delanie’s inspirational video. Editor’s Note: This post generated 56 comments and evolved into a PRP Survival Guide article titled PRP and Flares. It is an example of how a PRIVATE post shared within the PRP Facebook Support Group can be reformatted and shared with PRP patients/caregivers who are not PRP Facebookers. The previous post by Monica L will hopefully inspire a new volley of responses and future expand out understanding of PRP and flares. Editor’s Note: Her is another example of a PRIVATE post in the Land of Chat evolved into an article in the PRP Survival Guide that can be accessed by non-members. Tips to Reduce Swelling of Feet and Legs offers valuable insight that would otherwise be unavailable to a non-member. “Hi All, my son was diagnosed with PRP less than a month ago. He just turned 18 months old. His rash started around January 3rd on his face and forehead, then a couple days later the palms of his hands and sole of his feet became bright red, hot, and painful. They started peeling a few days later.” Follow link to full post. “What is really getting to me right now is the extreme hair loss. I had lots to begin with, so in that regard, I am lucky. But if I keep losing hair, I will have to consider wearing a wig. That possibility is depressing me. The doctor said, don’t worry, it will grow back. I didn’t like that answer and I get mad at myself for seeming vain. I am just now to the point that I am able to get back into doing what I love and resuming my community activities. Now I have to think about buying a wig! Most days, I have managed to deal with my condition. Today, I hate PRP and how it has messed up what are supposed to be my ‘Golden Years'”.